Did You Know? Kreacher was originally not going to appear in the film. After JK Rowling read the script, however, she strongly suggested that there could be serious issues with future installments if he was omitted entirely. Quotables: PROFESSOR SNAPE: Unless you wish to help him (and I assure you, I would have the greatest sympathy if you did), I’m afraid I cannot help you. 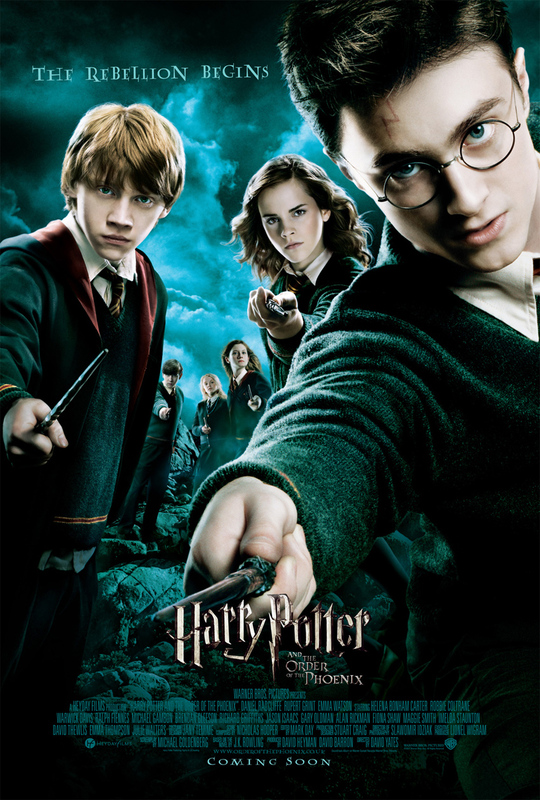 A Word from the Guise: This is the only Harry Potter film that I did not see on opening night, as I was in basic training at the time of its release. But you can bet that it was the first thing I did on family day when we were allowed to leave the base. Imelda Staunton, Helena Bonham Carter, and Evanna Lynch were perfect additions to the cast. I know Helen McCrory was initially cast as Bellatrix, but I cannot possibly imagine anyone other than Bonham Carter in the role. Just like I can’t imagine anyone other than McCrory as Narcissa Malfoy. And Imelda Staunton makes me love Umbridge, or more aptly, love to hate her. I never felt more unshakable hatred toward a fictional character than I did toward Dolores Umbridge. Staunton brought her malevolence and sycophancy to life in such a way that makes me grin maliciously even though I’m loathing her with every fiber of my being. Evanna Lynch is the perfect embodiment of Luna Lovegood. She’s so endearingly eccentric. Even though we only get to see a couple of chambers in the Department of Mysteries, it’s my favourite sequence in the movie, because it’s really the first time that our lovable trio becomes a sextet of heroes. In Goblet of Fire, even though there are Four Champions, we still really only get to see Harry on an adventure. Very briefly, he has someone with him, but Cedric is almost immediately killed. We also get our first glimpse at what a wizard battle looks like.